Thousands of years ago, men looked to the planets to guide them. Planetary alignments foretold momentous events of good and evil. In those days, planning wedding,s or even assassinations, according to the planets and stars was common in many cultures. Many people still look to the planets to tell the future. But what really is a planetary alignment and how does it happen? There are two different ways that the term alignment is used referring to the planets in our Solar System. The first way is if you were standing on the Sun, all the planets would appear to be lined up in a row. This is what most people think of when the they hear the term planetary alignment. The other kind of alignment is if all the planets follow a straight line. In other words, it is as if a straight line can be drawn through the center of all the planets. It is impossible for an exact alignment as viewed from the Sun – where the planets are superimposed – because of the differences in axial tilts of the planets. What we actually see in the sky is planetary configuration where the planets are in the same quadrant. It is very rare for all the planets to be within the exact same quadrant – approximately 90° of each other. Having all the planets within about 90° of each other only occurs about every 200 years, which is a long time for humans, although it is nothing for the universe. The planets do however line up loosely more often than that. In 2000, five of the planets – Mars, Saturn, Jupiter, Mercury, and Venus were within 50° of each other. You may have heard a lot about future planetary alignments, including rumors about 12/21/2012 when some say the world is going to end, and there will be a planetary alignment. That is all it is, a rumor. There will be no planetary alignment in 2012. 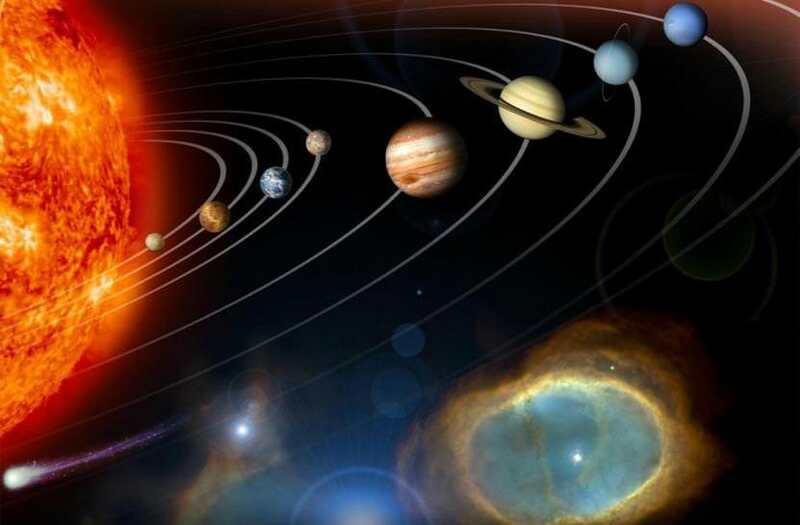 Many of the planets will align in a rather straight line in 2010. On June 13, 2010, Uranus, Jupiter, and Mercury will be lined up on one side of the Sun while Venus, Mars, and Saturn will be lined up on the other side. Earth will be perpendicular to the Sun at this time. In September of the year 2040, four of the planets – Saturn, Venus, Jupiter and Mars – will be roughly aligned when seen from Earth. Check out when other planetary alignments will happen, and then search for them in the sky. Check out this site about planetary alignments and this site, which shows you the position of the planets for any date you enter. Universe Today has a number of articles to read including galactic alignment and planets line up. Astronomy Cast has an episode about planetary alignment.